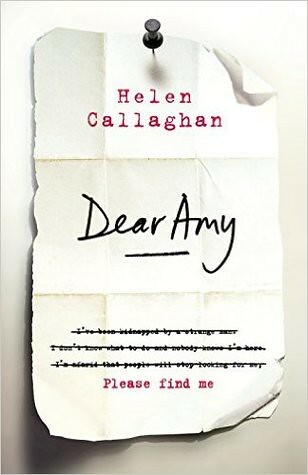 Dear Amy is a thriller with a truly interesting concept. When teacher and Agony Aunt Margot receives the above letter from someone who has supposedly been missing for years she thinks it's all a hoax... until more letters arrive, each with details that were never made public. When one of her students also goes missing, Margot decides she must try and solve the mystery, putting herself in danger in the process. Whilst I found the concept intriguing and there were parts of the story I liked, I did struggle to feel a connection to any of the characters and this made the overall read a little less enjoyable for me. I also was slightly disappointed by the twist in the tale, which I do believe many readers will see coming before the reveal. Despite the fact I didn't personally fall in love with the story, I do think the book will do well and am interested to see what this author comes up with next!